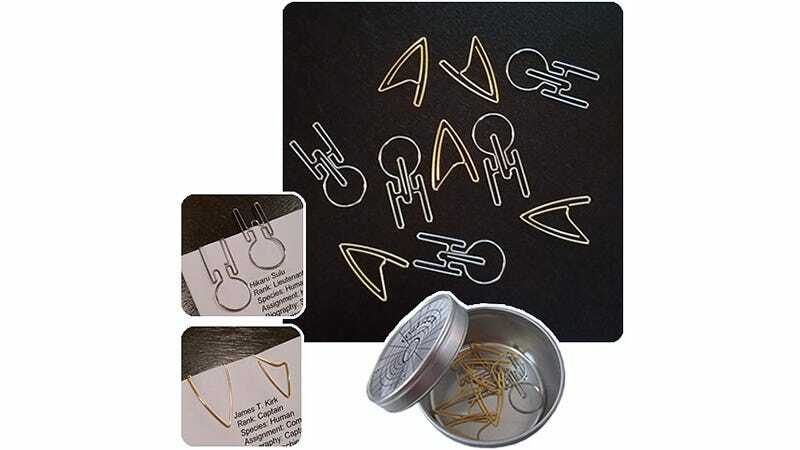 It doesn't take much to convince a Star Trek fan to buy some Trek-related merchandise, but even non-Trekkies are going to find these fun paper clips hard to pass by. For $20 (available sometime in July) this Trek-themed tin includes 20 paper clips shaped like the Starfleet delta insignia, and 20 paper clips shaped like the U.S.S. Enterprise.